From Yorkshire, served with the 1st Battalion The Parachute Regiment (1 PARA) from 1948 to 1952. He joined 1 PARA, with was then part of 16 Independent Parachute Brigade, in Germany before returning back to the UK in 1949. In 1951 he was deployed twice with 1 PARA, briefly to Cyprus during the Persian crisis and then later that year to the Canal Zone, Egypt. 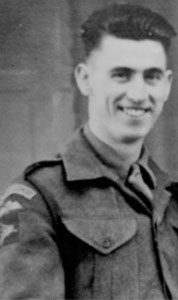 Walter married Mary in 1949 during his Army service and later emigrated to Australia, where he passed away on 5 July 2015, aged 88 years. He is survived by Mary and their two children, John and Joanie.